Shop focus: If you’ve passed along Yaowarat Road recently, it’s quite probable that your attention will have been caught by a new shining space of aesthetics: sparkling lamps + cool furniture = HI.SO. Deco. HI.SO. 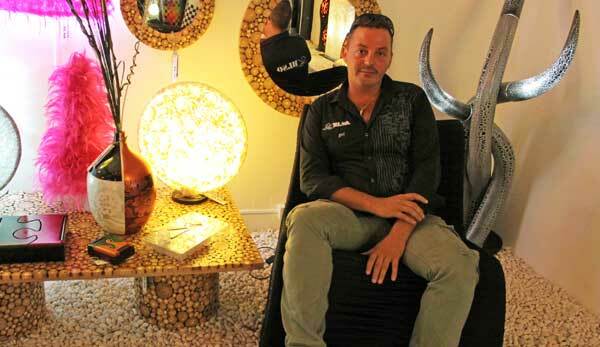 Decor’s stylish CEO Marc Gliede. To that end, HI.SO. Deco sells lamps, lighting accessories, and furniture. Over the years, he helped friends organise and decorate special events. After eight years of living and working in Phuket, he could see that many Phuketians were struggling to find different design that were right for their homes. “Where can you go if you want nice furniture? Index? Home Pro? You get the same things,” says Mr Gliede. Inspired, Mr Gliede established a showroom in Thalang two years ago. After receiving much positive feedback, and a small following, he opened the boutique shop HI.SO. in Phuket Town late last year. The products made by HI.SO. are varied in their shape, form and materials. 169 Yaowarat Road, Phuket Town, 081-090-3100; hi-so-phuket.com. Open Wed-Mon, 10am-8pm.